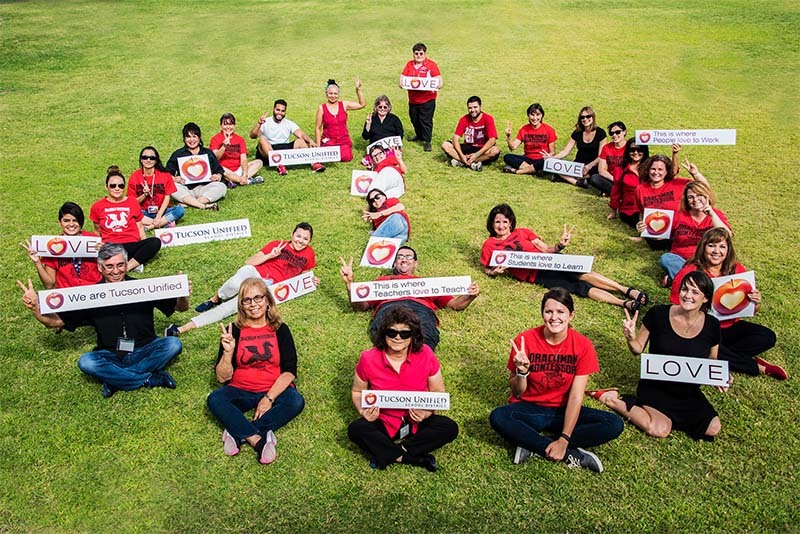 Check out the staff at Drachman K-8 Montessori Magnet and their "peaceful" message. Principal Jesus Celaya has this to say: The Drachman staff inspires children and adults to be "Responsible and Peaceful!" (Drachman's Mission). Drachman Montessori believes that in order for students to reach their fullest potential, the whole child must be nurtured. This means it is necessary to give attention to the reader, mathematician, scientist, athlete, artist, and musician in each child. Drachman's "A" rating from the Arizona Department of Education, its national designation as a Magnet School of Excellence and its National Blue Ribbon Award from the United States Department of Education are tremendous honors that were awarded to the school because of the staff's passion for education and love for inspiring learning in Tucson Unified.